I was speaking recently at our local Senior Center when I was asked about annuities and if I thought they were a good idea. I do not like annuities. I believe that there is nearly always a better mix that does not include annuities for families trying to reach their goals. Another person from the audience commented that she had always thought they were a bad idea, but she had never heard it from a financial advisor before. Many government mailings look like spam. And much spam tries to look like a government mailing. 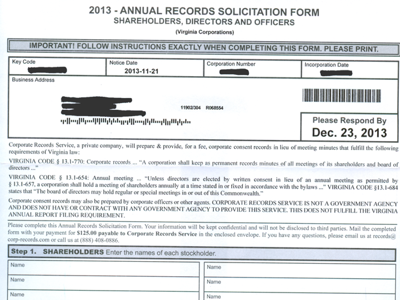 Recently, an entity calling itself “Corporate Records Service” with an address in the capital of whatever state you happen to be in, mailed solicitations entitled “Annual Minutes Records Form” to numerous business entities in multiple states. This solicitation suggests that a any business entity is required to complete the statement and return it with a fee of $125. If you or a loved one are in the military and are about to be deployed you may be able to take advantage of a special savings account that is specifically for our Armed Forces members that are deployed in a combat area. Mike Helveston, CFP®, CRPC® is Director of Adviser Services at Rodgers & Associates. 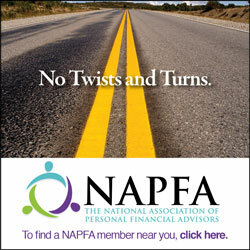 He manages the team of advisers and is responsible for maintaining the firm’s financial planning process. In addition, he provides comprehensive tax, estate and investment planning advice to guide our high-net-worth clients toward their financial goals. Mike joined Rodgers & Associates in 2007 after starting in the profession over 15 years ago with Vanguard. Mike is a contributor to Forbes, has been quoted in the Wall Street Journal and has also appeared on television and radio discussing various financial planning issues. I am a firm believer that preparation and planning are the keys to being ready for life’s uncertainties. Athletes train in both good and bad weather. Students getting ready for a test study all the material they might need to know. So what should you do to be ready for the next market downturn?